PSP's Chief Heads to BlackRock? The Public Sector Pension Investment Board (PSP Investments) has a new man at the top. Effective immediately, Neil Cunningham has been appointed president and CEO, replacing outgoing Andre Bourbonnais, who is leaving to join BlackRock Alternative Investors. Prior to Wednesday’s appointment, Cunningham was senior vice-president, global head of real estate and natural resources at PSP Investments. Bourbonnais is leaving to head up a new initiative within Blackrock Alternative Investors, PSP Investments said in a release announcing the changes. At Blackrock, Bourbonnais will rejoin his former boss at CPPIB, Mark Wiseman, who resigned from the CEO position in 2016. He is the chairman of BlackRock Alternative Investors. “Neil Cunningham has been a key player in PSP Investments’ evolution, both as an investor and as a senior executive,” said Martin Glynn, chair designate of the board, in the release. “He has played a key role in developing and implementing the organization’s current strategic plan, and possesses a deep understanding of the business, mandate and stakeholders of PSP Investments. 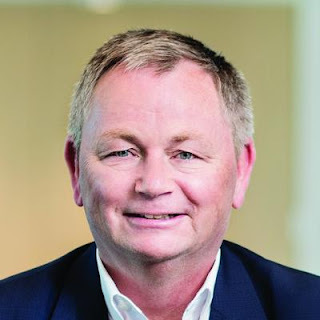 Cunningham joined PSP Investments in 2004 as vice-president, real estate investments, and was named senior vice-president, global head of real estate. Under his leadership, PSP Investments’ real estate team has become one of the most respected and successful institutional real estate groups in the world. In December 2016, Cunningham also took on oversight of PSP Investments’ natural resources team. Prior to joining PSP Investments, Cunningham held various positions at Merrill Lynch, Brazos Advisors Canada, National Bank of Canada and Coopers & Lybrand. Bourbonnais served for three years as president and CEO. Under his guidance, PSP Investments restructured its Private Equity group, created a private debt asset class, opened offices in New York and London and turned in a net return of 12.8 per cent for the fiscal year closing at March 31, 2017. During Bourbonnais’ tenure, PSP Investments also developed a five-year strategic plan titled Vision 2021. “André had a very positive impact on PSP Investments during his time as president and CEO,” Glynn said in the release. “His leadership and focused commitment made it a unique pleasure to work alongside him for the last three years. “Making the decision to leave the leadership role of PSP Investments was a difficult one,” Bourbonnais said in the release. “I am very proud of what we accomplished here together, thanks to the great professionals with whom I have had the pleasure of working with and the continued support of the Board of Directors. The Public Sector Pension Investment Board (PSP Investments) is one of Canada’s largest pension investment managers with $139.2 billion of net assets under management as of Sept. 30, 2017. It manages a diversified global portfolio composed of investments in public financial markets, private equity, real estate, infrastructure, natural resources and private debt. Established in 1999, PSP Investments manages net contributions to the pension funds of the federal Public Service, the Canadian Forces, the Royal Canadian Mounted Police and the reserve force. PSP Investments put out a press release yesterday afternoon which you can read here. So what is going on at PSP? I must admit, I was shocked to learn André Bourbonnais was leaving the top job so soon. It was just three years ago that PSP tapped him from CPPIB to head up the organization. So why is André Bourbonnais leaving PSP to join BlackRock? For the same reasons that Mark Wiseman left CPPIB to join BlackRock, namely, much higher compensation and huge opportunities to develop BlackRock's Alternative Investors' business which will focus on private as opposed to public markets and have a much longer investment horizon (and much higher fees to pay the growing compensation at Blackrock's senior ranks). Let's call a spade a spade. At the level of a Wiseman or Bourbonnais, things don't happen "by accident", discussions took place months if not years before these decisions were made. These high profile pension chiefs can write the handbook on managing one's financial career. They know exactly what they're doing and don't you buy for a second that this was a "tough decision" for André Bourbonnais. A friend of mine that used to work at PSP with me a while ago called me last night to discuss this latest move at PSP's upper ranks and he didn't hold back: "It's such BS, these guys are all about themselves, it's infuriating." I listened patiently and then interjected: "Let me ask you a question, if BlackRock came to you and you were working as the CEO at PSP getting paid $3-$4 million a year and they offered you a huge opportunity which will allow you to double or triple your compensation, would you pass it up? For what? To stay in Canada, get paid in Canadian dollars and get fleeced on taxes from Justin Trudeau's Liberals instead of benefitting from Trump's tax cuts? Any smart individual at that level would have jumped on this opportunity and besides, he's going to BlackRock, joining his former boss and friend who has been there a couple of years and got the lay of the land by now." Remember, this is BlackRock, the world's largest asset manager, an organization that has Larry Fink's footprint all over it. As its CEO, he knows exactly what he's doing hiring Mark Wiseman and André Bourbonnais. BlackRock (NYSE: BLK) is going in a Buffett-ish direction, as The Wall Street Journal reports it looks to raise $10B to buy and hold direct company stakes, a BlackRock first. That could square it off against P-E giants like Carlyle Group (NASDAQ: CG) and Apollo Global Management (NYSE: APO), not to mention its former parent Blackstone (NYSE: BX). With competition for capital hot, traditional asset managers and private-equity firms are fighting for cash from the same clients, WSJ notes. BlackRock hasn't had a buyout fund of its own, though it already manages $145B in higher-fee investment strategies; it's now planning a "long-term private capital" vehicle to pursue alternative investments, according to the report. Why is BlackRock looking to enter alternative assets, ie. private equity, private debt, real estate or infrastructure? Because it wants to offer its clients top products across public and private markets and is well-positioned to grow this business by leaps and bounds. And, of course, the fees are much juicier in alternative assets compared to cutthroat public markets where fees are being hacked to death as passive investing takes over (no thanks to BlackRock and Vanguard). To be sure, fees are coming down everywhere, but the private equity shops are making off like bandits, something which I'm sure irks Larry Fink who received a $25.5 million pay package for 2016, nothing to scoff at but nowhere near what Blackstone's co-founder Steve Schwarzman received, taking home home $425 million, down from $734.2 million the previous year. And once the Trump tax cuts kick in, private equity and real estate barons are going to really rake it in, so count me as one of the people who wants to see BlackRock succeed in this new venture and give the PE fat cats a run for their hard-earned money! [Note: In 1988, Fink co-founded BlackRock under the corporate umbrella of The Blackstone Group and became a Director and CEO of BlackRock. 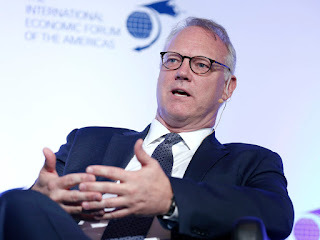 When BlackRock split from Blackstone in 1994, Fink retained his positions (as Director and CEO), which he continued to hold after BlackRock became more independent in 1998.]. Anyway, where does André Bourbonnais's departure leave PSP? Actually, in good hands. Just like CPPIB survived and thrived after Mark Wiseman's departure, PSP will survive and thrive after Bourbonnais's departure. Why am I so sure of this? Because I worked with Neil Cunningham at PSP when I was there between 2003-2006 and I like the guy on a personal and professional level. Neil is a top-notch real estate investor who has tremendous experience and leadership skills. Under his leadership, PSP's real estate group has delivered outstanding returns over the long run, making it the most important asset class in terms of added-value since the organization's inception (yes, they had an easy benchmark to beat but even if they had a much tougher benchmark, they still would have handily beat it since inception). The last time I saw Neil was at a CFA lunch with André Bourbonnais where I thought he looked great after losing weight since I last saw him and he looked very well rested (he told me he cut alcohol to shed some pounds and tries to sleep a full eight hours to stay healthy, which is something I firmly believe in!). He told me PSP isn't selling "trophy assets" like 1250 René-Lévesque West in Montreal which he rightly considers the best office building in the city with an important long-term tenant (PSP). At the time, I told him along with Daniel Garant, PSP's former CIO who left to join Gordon Fyfe at bcIMC, everyone else is gone. He told me: "I just focus on delivering performance and that's why I'm still around." I then asked him how long he'll be doing this, to which he responded: "as long as I'm still having fun." Importantly, Neil didn't need to become president and CEO of PSP for the money. He's been around long enough at PSP, delivered great returns and made millions in compensation over the years. At this stage of his career, he's assuming this role as a final swan song before he hangs up his skinny ties for good to enjoy golfing in retirement. And yes, there's no doubt about it, he wants to continue having fun while delivering great returns in all asset classes. His main job now is to hire a qualified and excellent CIO. PSP and the Caisse have yet to hire a CIO to oversee public and private market investments (to replace Daniel Garant at PSP and Roland Lescure at the Caisse). I don't understand why it takes FOREVER to find a suitable replacement but there are plenty of outstanding candidates here in Quebec and in Ontario to choose from. In fact, I recently learned that HOOPP’s CIO, David Long, departed that organization which equally shocked me. David is also a very nice guy and one of Canada's foremost derivatives experts and a big reason why HOOPP is one of the best pension plans in the world. There are a lot of very talented people on the street right now and working at pension funds, senior people who can easily be the CIO of PSP or the Caisse. I just don't understand why it takes so long to find a good CIO but it's easy for me to say this from the outside. Truth be told, the fit has to be right on both ends. I'm sure Neil will eventually find a great CIO to help him manage assets across public and private markets. He has to first get used to his new role which carries a lot of extra baggage and convey a message of continuity to PSP's troops, some of who will be happy he's their new leader and others who will be more anxious (there's a new sheriff in town so expect some changes to occur at all levels of the organization over the next year, hopefully for the better). One last tidbit on Neil. Till this day, I credit him for helping me set up my Yahoo portfolios to screen thousands of stocks and ETFs every day. This allows me to quickly see in real time what's moving across all the sectors I track and all for free! So, let me end by giving Neil some investing advice. Since you don't have time to trade and pick stocks, put 50% of your money in US long bonds (TLT) and another 50% in the S&P 500 low vol ETF (SPLV) and just relax, sleep well at night, and have fun being PSP's new president and CEO! I would give the same advice to PSP's employees, try to relax, trust your new president and CEO and have fun investing over the long run because these markets are getting a lot more volatile and complicated. You need to focus here and stop worrying about office politics. That stuff will sort itself out, don't get involved. As for André Bourbonnais, I only spoke to him once back in June at the IPCM pension conference here in Montreal and found him nice and very focused. He's got a big job now at BlackRock helping Mark Wiseman manage assets on behalf of the CalPERSs of this world who need help with their private market investments. I wish them and Larry Fink much success in this new BlackRock venture. Below, André Bourbonnais, PSP's former president and CEO, at Davos earlier this year discussing why "it's very hard to find value" in any of the asset classes. Watch the interview here if it doesn't load below. Update: Read my follow-up comment, No Love for PSP's CEO, to see how the knives came out following André Bourbonnais's announcement that hes' leaving PSP. Canadian Pensions Cranking Up The Leverage? Should Pensions Divest From Tobacco? The Fed's Balance of Risks? The Bond Teddy Bear Market? Are US Public Pensions The Next Crisis? No Love For PSP's Former CEO? The Caisse's $300 Million REM Cost Overrun? A Correction or Something Far Worse? AIMCo Invests in Alberta's Wind Power? China's Pension Risk Looms Large? Growing Fears of a Stock Market Crash? US Wage Inflation Spooking Markets? Disabled Vets Head to the Supreme Court?